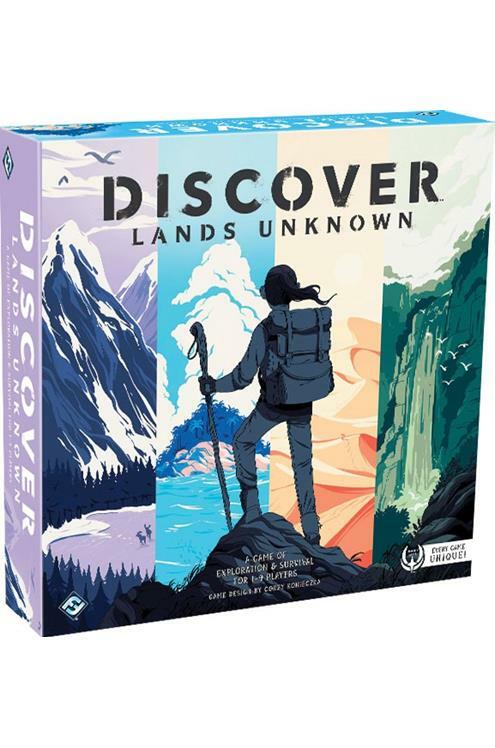 When two to four players find themselves marooned in the harsh wilderness, you must cooperate and compete to search for water, food, and tools that will be essential to your very survival. But your adventure holds many secrets. 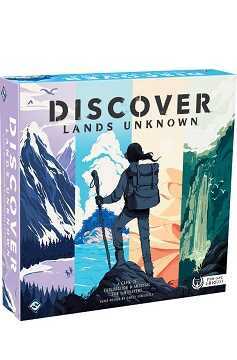 Every copy of Discover: Lands Unknown is unlike any other in the world. A mix of environments, storylines, characters, locations, items, and enemies have been engineered to tell a story unique to every copy of the game thanks to an algorithm that ensures no two copies are alike. Your copy will contain a variety of tiles, cards, and tokens, each pulled from a shared pool of components, and the combination will be different from every other copy in the world..